Home / News & Media / Escrow / What’s the Difference Between Inspections and Surveys? What’s the Difference Between Inspections and Surveys? So, today, we wanted to share some insight on this topic in hopes of clarifying any confusion. In the simplest of terms, the purpose of a home inspection is to examine the condition of a home. Surveys, on the other hand, are intended to identify property lines of a home. 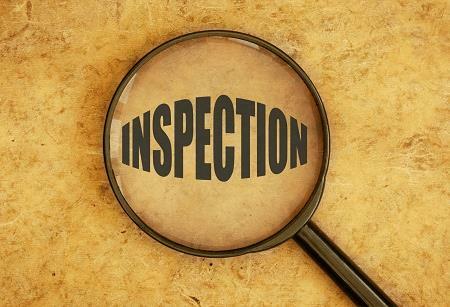 The home inspection is a review of the property at hand from the standpoint of issuing a Title Insurance policy. Typically, the company handling Title will send out an inspector to the home to inspect a number of things, including any type of recent renovations and characteristics of the home. This inspection also is used to ensure that the address and location is correct and that the information is correct for the individual(s) who currently own the home. During this process, the inspector will also check to see if there are any obvious encroachments of improvements and easements. This is a great question! And, while the answer will vary based on unique circumstances, home inspections are typically required anytime someone is selling or buying a home and the Title Company needs to visually inspect the property. Essentially, the Title Company needs to know if there is anything present (or not present) within the home that would affect its value. A home survey is conducted by a licensed surveyor. The sole purpose of this inspection is to identify and locate property lines. Surveyors typically use specific tools and maps to do identify the property lines and any potential encroachments. The survey can protect your investment. It’s a little like how a Carfax is used for a vehicle, as it allows the potential home buyer to clearly understand where he or she can place fences, add square footage or install a pool. We hope that this post helped provide some education around the difference between home inspections and home surveys. Of course, if you have any questions about this topic, don’t hesitate to contact us!